When Jean Cadieux, a locksmith, made his way from Luché, in the Loire Valley of France to Montréal, during 1653, the first of my ancestors set foot upon the North American continent. It was a wild ride .. literally! 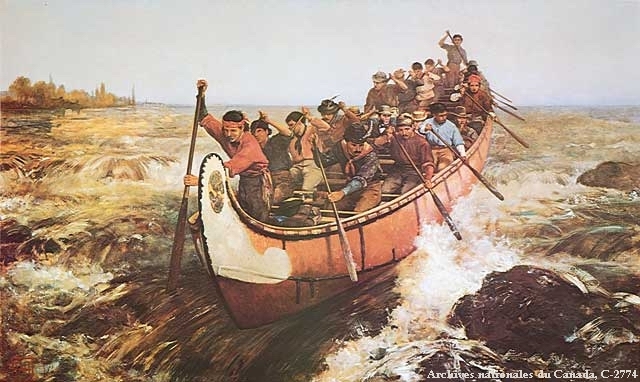 .. from then, as the fur trader Antoine Cadieux made his way across the rapids of the Ottawa River before settling down with a family in Quyon, QC. A hundred years later, Denis Killeen, recently discharged from the British Army, was part of a group of ex-soldiers who claimed land in the area that soon became March Township. This blog pays tribute to these ancestors’ courage and daring under the rubric that every family’s story is worth telling and ought to be passed along! — and to talk about resources that have been helpful in making family tree discoveries. Do offer your thoughts and ideas!